Warcraft III: Reign of Chaos is a high fantasy real-time strategy video game developed and published by Blizzard Entertainment, and was released in July 2002. At the time, the title blew up in certain parts of the world to eventually construct an electric esport beloved by many, having an especial focus on Korea. This year, on July 3rd, marks the 16th year since the title was released and a major patch is incoming. To celebrate this. 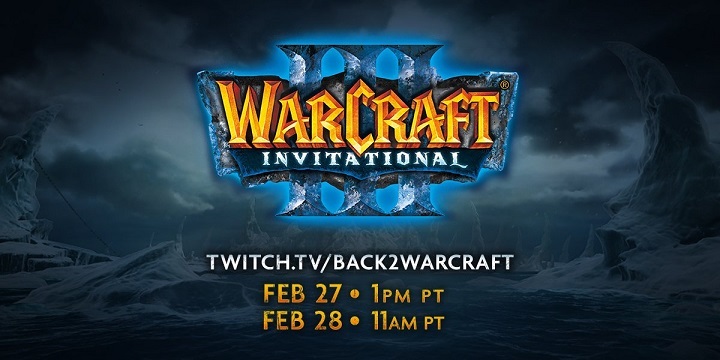 Blizzard is preparing to host the first ever Warcraft 3 Invitational. Of course, the upcoming patch isn't anything shockingly surprising since it forms part of a recent trend. In the past year, they've also released updates for dated games such as Starcraft and Diablo II, which is quite curious; not many game developers or publishers really hold on to prequels or old games beyond their lifespans. Regarding the Warcraft III update, which is available on the Public Test Realms, players now have access to widescreen aspect ratio support and revised and expanded team colors from an aesthetic point of view. In terms of gameplay, Blizzard has added 24-player game lobbies and some has even gone ahead to tweak hero balances completely changes. 14 of the most respectable name in Warcraft III, having a healthy mix of the old and the new. The friendly nature of the tournament probably means that a prize pool will not be present, although things may change as the week progresses. All in all, hosting an Invitational like this is the best way to truly test out a new patch while also animating the community. Other developers should take note.